Check out the video for your personal tour! 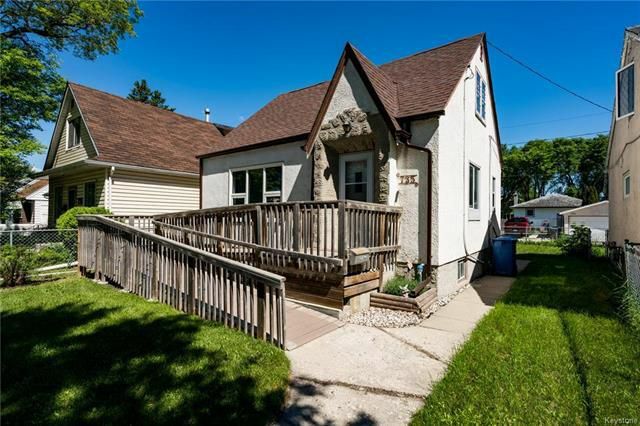 This 3 bedroom home is very solid and has hardwood floors on both levels. There are coved ceilings in the living room and newer vinyl flooring in the kitchen. Most windows have been updated to triple pane casements. Upstairs are 2 spacious bedrooms with hardwood floors and plenty of closet space. The basement is partly finished and just needs your development ideas. Other major upgrades include High E furnace and shingles. If you have mobility challenges then you will also appreciate the ramp out front. Convenient location close to public transit, schools, shopping and community centres. Excellent value here!